Steve Denning is Chairman of General Atlantic and has been part of the firm since its founding in 1980. As the second investment professional at the firm, Steve helped build General Atlantic with a singular vision of supporting entrepreneurs as they work to grow their businesses. From the outset, his mission has been to partner with strong growth companies led by exceptional management teams to help their organizations become market leaders. For over three decades, Steve has helped General Atlantic become a leading global growth investment firm, today with 13 offices around the world. 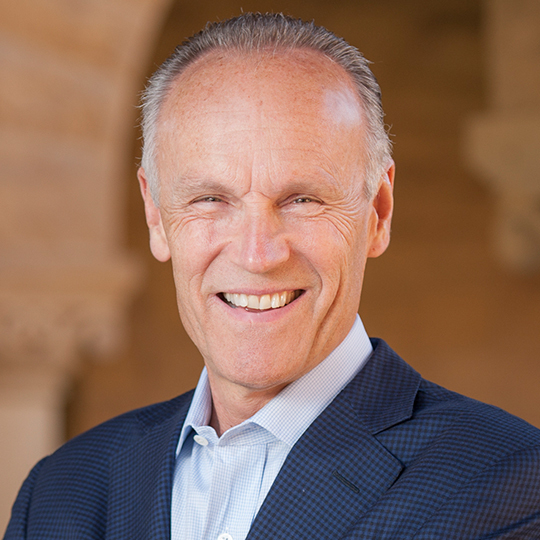 Steve also served on the Board of Trustees of Stanford University from 2004 to 2017, including as its Chairman from 2012 to 2017. Before joining General Atlantic, Steve worked at McKinsey & Company and served for six years in the U.S. Navy.